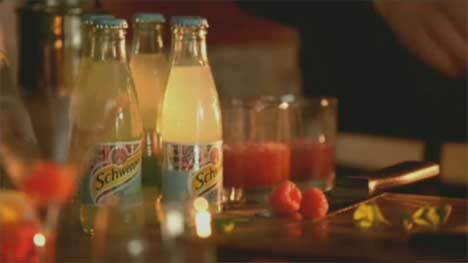 Coca-Cola UK has relaunched Schweppes mixer drinks in the UK with a series of three television and cinema advertisements, accompanied by “Cocktails For Two”, sung by Spike Jones. The campaign, aimed at socialisers in their thirties, is accompanied by “Sch… You Know How”, a play on the 1960s tagline, “Sch… You Know Who”. 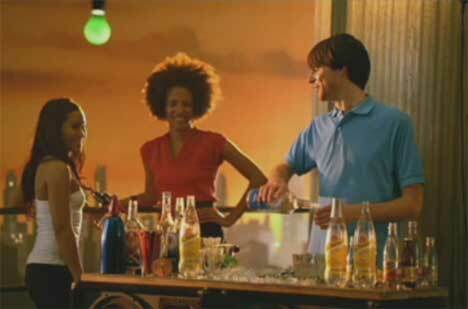 The Schweppes TV adverts feature a range of party scenes in which partygoers show off their cocktail mixing skills with traditional drinks such as Tonic Water and new flavours such as Juniper and Pomegranate Tonic. The Cocktails For Two campaign was developed by advertising agency, Mother London, with Vizeum media planners Mike Cookson and Rachel Winter. Filming was directed by Swedish team Stylewar via London production company Stink. Editing was done by Gregers Dohn at Nostromo, Stockholm. Post production was done at Swiss, Stockholm. Audio post production was done by Ben Leeves at Grand Central Studios, London. Note that Cadbury Schweppes, based in London, has sold the rights of distribution of Schweppes drinks in the UK to Coca Cola. “Cocktails For Two” is sung by Spike Jones and The City Slickers, recorded in 1943. The words were written by Sam Coslow, with music by Arthur Johnston. The song was introduced by Carl Brisson in the 1934 film Murder At The Vanities. To get an idea of how the song was first performed by Spike Jones and his wacky team, see Spike Jones Cocktails For Two at YouTube. Cocktails for Two is available on CD from Amazon.co.uk and Amazon.com.